Meeting somewhere? Access your Friend's location, find out the distance and time and see updated locations at map. Observed the issue that friends or people while meeting at a big place, like university, ground or a mall, couldn't find each other easily as there are a lot of other entrances to that one place and locating each other then becomes a problem. A common way is either to walk around the whole place to meet your friend or to call him/her and ask him/her to get to a common place. What Gotcha does is that it resolves the problem mentioned above in a smart way. Both friends who are meeting have this Android app installed in their smartphones and after logging in with their respective Mobile number and then from the phone contact list, within the app, send a request to the one they are meeting. This is because no body wants to share his/her location with all people in their contact list due to privacy issues. Now the other friend receives the request and accepts it. The two now become trusted friends on the app and can view each other's location on Google Maps integrated in the app. He'll be seeing his and his friend's location on the map and by clicking the direction button, he'll be able to see the distance between them two and the time to reach other. The location gets updated after every 90 seconds on the server. Also an extra feature, is that just like WhatsApp, Trusted Friend's can see each other's last synced location address and time. We built it using Android Studio in Java. Google Maps, Google Analytics API , Facebook and Parse SDKs. The work was divided as followings : 1) I did the Google maps and Analytics integration into the App. 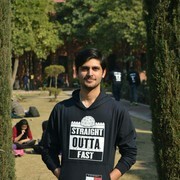 2) Ahsan did the Parse & Facebook SDK integration into the App. 3) Saad designed the interface for the application. The first and foremost challenge was completing the app with this big scope in a limited time. But we tried our best to complete it as much as we could. Another issue was in communication between us three as me and Ahsan are in Lahore while Saad is Peshawar based, so this was some how one of the difficulties we faced. The last and a major challenge that we faced was making it work on android devices with android version less than 5.0 (lollipop). We have successfully tested it on Marshmallow (6.0) and it works like a charm. Due to the unavailability of time, we weren't able to eradicate this and only problem out of our project. One reason being that our mids are here so we'll be submitting the project as it is. We are proud that we have made a working prototype with in the limited time. Also working for a month with all this passion has intrigued us to make our way in the industry as well. We are proud that we have accomplished the task which was an issue and wasn't catered till last month or two and was resolved by our app. We learned quite a few things. We learned that we could finish the project even if we all are not in the same place. Communication was sure a problem was some time but it never stopped us from completing the app. Team work and leadership are also a few things we practically practiced during the development of Gotcha! . Above all, we learned that all one needs is passion and a platform to prove his/her talent and skills to the world. We have planned to take it further and work further on grooming and maturing the idea. 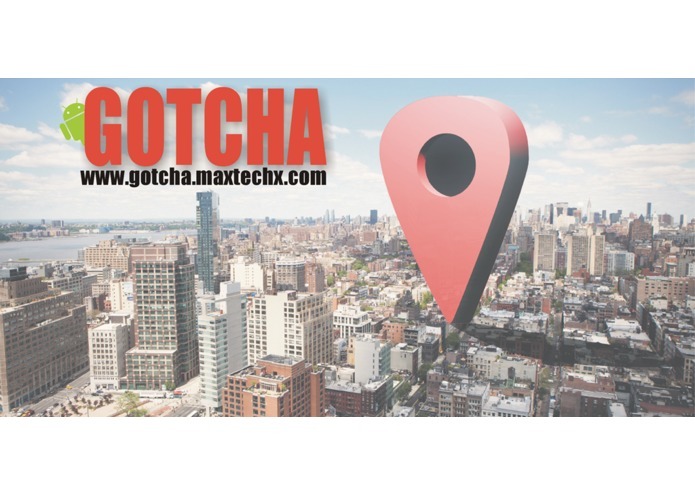 Also we are planning to add more location based features that may compliment the actual idea and function of Gotcha. I worked on the on the Google Maps & Google Analytics integration and all the stuff related to maps in the project. I also assured that the app got the right co-ordinates and updated them accordingly on the server as well.